All access, half a year. Sing Lit Station is pleased to offer working space to a select number of writers for a six-month-long writers' residency program. Our writers-in-residence are invited to conduct workshops, meetings, readings and other events on behalf of Sing Lit Station, with full access to our venue. We are no longer accepting submissions to the 2018/2019 residency programme; will be announcing the names and profiles of our new writers-in-residence soon. The Jalan Besar Writing Residency seeks to select 2-3 Singapore-based writers and grant them full access to our office to work on any form of literary creation. The residency will last from 1 Oct 2017 to 29 Mar 2019, with an option to extend their residency for another 1-4 months if necessary. All of our Writers-in-Residence will be given keys to our office and assigned desk space. They are welcome to write, hold meetings, carry out projects and use the venue in any way befitting to their practice. Towards the close of their Residency, our Writers-in-Residence will be obliged to hold a public-facing programme (i.e. talk, workshop, reading) to commemorate the end of their time with Sing Lit Station. Applications to the 2018/2019 Jalan Besar Writing Residency have closed. Details on the 2019/2010 residency will be announced in Q2 of 2019. Nabilah Said is a playwright, freelance writer, reviewer and poet. Nabilah was a former journalist with the Straits Times before leaving to do an MA in Writing for Performance at Goldsmiths, University of London. Her plays have been presented by theatre companies Teater Ekamatra, The Necessary Stage and Bhumi Collective and read in London’s Bunker Theatre and Arcola Theatre. During her residency, she will be writing a new play for Projek Bahasa Pengarah 2, an initiative by akulah BIMBO SAKTI and Malay Heritage Centre, as well as working on other theatre projects. JY Yang (@halleluyang) is the author of the Tensorate series of novellas from Tor.Com Publishing. Their work has been nominated for the Hugo, Nebula, World Fantasy, Locus and Kitschy awards, as well as being on the Honor List for the Tiptree award. JY attended the 2013 class of Clarion West, and read their MA in Creative Writing at the University of East Anglia in Norwich, Britain. They will be working on their debut full-length work over the course of their residency, as well as conceptualising other projects. 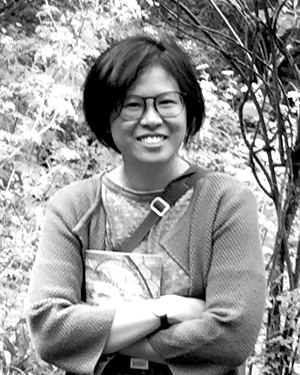 Having worked in technical writing, communications, tertiary education, and the social services, Chan Li Shan has most recently pursued an MA in Creative Writing at the University of East Anglia in 2016/17, specialising in Biography and Creative Nonfiction. An advocate for mental health, her memoir A Philosopher's Madness was published by Ethos Books in 2012. Over the course of her residency, she will look into the lives of artists for a biographical narrative that she is working on. Yu Yan Chen is an award-winning poet, writer, and literary translator. Versed in both English and Mandarin, her latest collection of poems is Small Hours (NYQ Books, 2011), published in New York. During her residency at Sing Lit Station, Chen will translate ten short stories by Chinese author Mai Jia while supported by a Creation Grant from the National Arts Council. Joel Tan is a playwright, director, performer and essayist. A versatile artist, his work crosses genres, styles and theatre-making cultures, including poetry, contemporary drama, dance theatre, pantomime and musical theatre. He made his debut at the 2011 Man Singapore Theatre Festival, with W!ld Rice’s production of Family Outing, directed by Glen Goei. Zhang Ruihe works in education and moonlights as a writer and editor. She received the Golden Point Award for English Poetry in 2013, served as essays editor for QLRS from 2005 to 2009, and is also co-editor of In Transit: An Anthology from Singapore on Airports and Air Travel (Math Paper Press, 2016). Zhang will work on her first essay collection during her residency at Sing Lit Station.